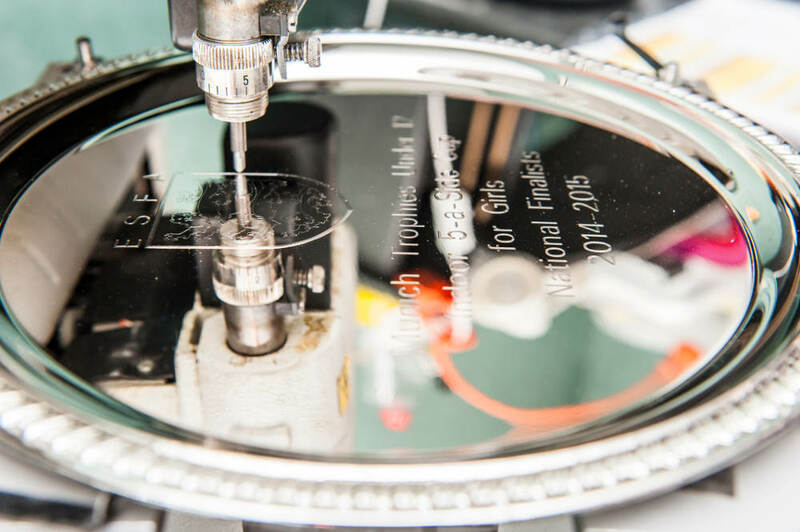 Our in-house engraving service by our City & Guilds trainer engravers is here to meet all your needs. We engrave jewellery, glass, cups, trophies, medals, logos and our prices are ultra-competitive. We offer a same day service, with a while you wait capability. 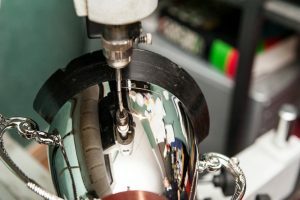 You will find our trained staff easy to deal with, you will receive fantastic engraving at a price that the High Street just cannot compete with. Engraving is a noble art form with a proud history stretching back to ancient cultures. If you are looking to have an item engraved, our expert craftsmen will be happy to assist to ensure you have a finished product to admire and cherish. At Munich 72 Trophies we have strong sporting roots and a reputation as a leading supplier of trophies and awards. We have our own in-house team of experienced craftsmen who are led by our managing director who is City and Guilds trained as an expert engraver. Our craftsman are noted for their precision and attention to detail. They can accurately render facial features and signatures. Their skill is comparable to that of a fine artist sketching with pencil on paper. Through their artistry they can bring depth and vibrancy to your chosen design, giving you pleasure for years to come. Our team have engraved a range of products including trophies, brass plaques, aluminium signs, jewellery and rings. Whether your needs are corporate or personal we will be able to exceed your expectations. All our engraving work is carried out on site and we can work while you wait. Working with Munich 72 Trophies means that you will receive a personal service, from a market leading company. We have clients ranging from local community clubs to global brands and as our customer you will receive a dedicated service from our knowledgeable team. We work in partnership with our clients, always striving to find ways to help you promote your brand, club, company or league in a way that represents you perfectly and within your budget. Our company was formed in 1973 and during that time, we have NEVER let a client down. or click here to visit the contact page.